BREAKING NEWS: Principal Mrs. Lim to Leave RI by the End of the Year? Based on independent reports from several credible sources, Raffles Press can confirm that our Principal Mrs. Lim Lai Cheng is likely to leave the school at the end of the year, after six years at the helm. The news was apparently conveyed to some members of staff earlier in the week but has yet to be officially announced by the school. Rumours suggest that the identity of our new Principal will be announced by the end of the week, possibly on Friday. If true, this would bring an end to Mrs. Lim’s time in charge of the school, which has seen numerous milestones in RI’s storied history. Most significant of which would be RI’s re-integration with RJC in 2009, bringing both institutions back together after their split in 1982. Students in the Raffles family of schools now enjoy a seamless six-year Raffles Programme, running through Year 1-6. 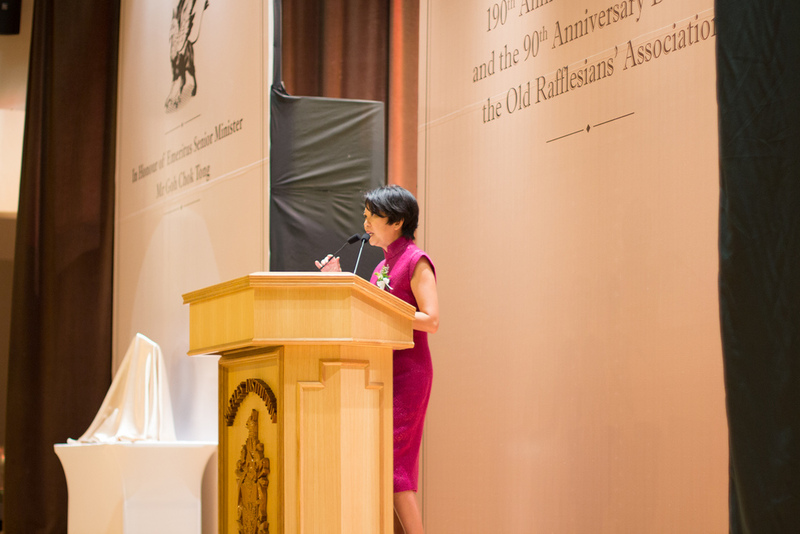 Other initiatives pushed out during Mrs. Lim’s tenure include the introduction of the Raffles Diploma, a certificate meant to reflect the holistic excellence achieved by Rafflesians throughout their schooling life in RI. We at Raffles Press would like to thank Mrs. Lim not only for her unwavering support for the CCA, but also for her unstinting contributions to the school. Auspicium Melioris Aevi. Any party which wishes to re-publish this article should first seek the express permission of the editorial team at Raffles Press. :'( she was a great principal. all the best, Mrs Lim! Care to substantiate that statement? Care to explain why she was a great principal. There is a distinction between a competent principal, good principal and a great principal. Want to share the reason why you adore her so much? You’re getting Mr Chan Poh Meng from VJC. Mrs Lim Lai Cheng is an excellent, approachable principal. As a parent, I am often amazed at how she is able to be present and available at all events, even supporting our boys in cca competitions. It would be a loss to see her leave RI. She has done RI proud and I hope and am sure most parents, teachers and srudents would do too -if there is any way to request MOE to reconsider and allow Mrs Lim to continue her stay at RI. All the best Mrs Lim.